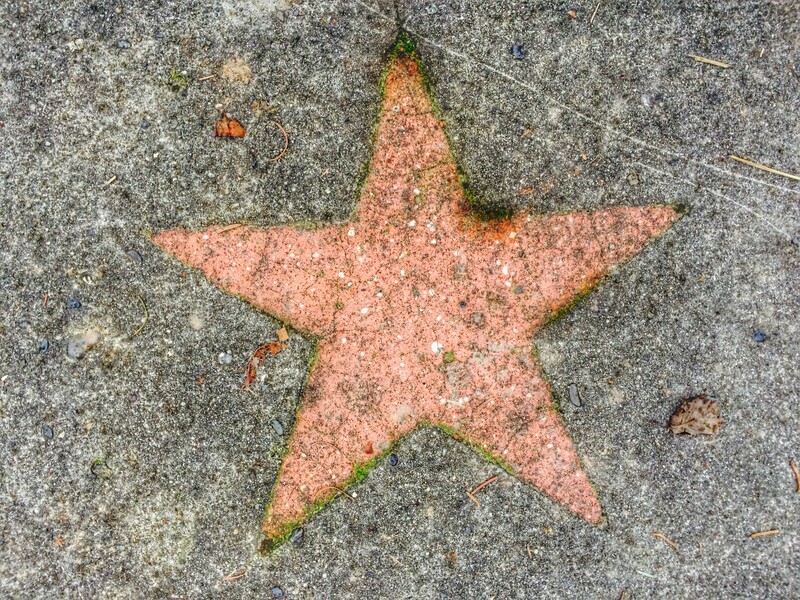 While doing a story at the Frank Chopp apartments last October, I looked across the street to find a faint but visible red star in the concrete off the sidewalk. 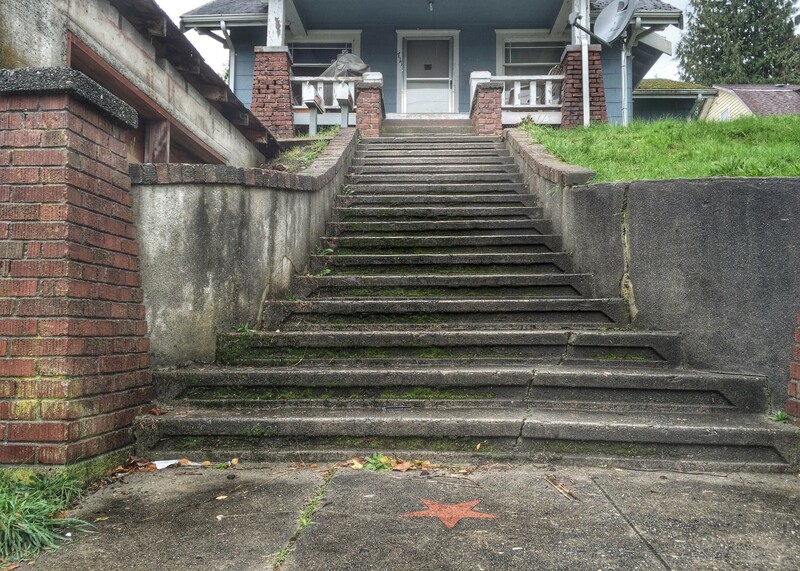 The star, at the base of the steps to the home at 711 Chester Avenue, intrigued me. Where did it come from? Why was it there? I turned to the power of social media, specifically the “If you grew up in bremerton, WA … remember when …” group, to help. There’s more than 7,800 members in the group and while I did not exactly grow up in the city, its administrators graciously adopted me. After posting a photo of the star, the response was incredible — nearly 150 comments and it hasn’t been up a day yet. Already, people who’ve lived there, and even a woman who says here grandfather built the home in the 1920s, have contributed (thank you Kelly Storm!). But we’ve not yet solved the mystery of the red star. Could it be related to the Order of the Eastern Star or perhaps a Wiccan star of some kind? What about if it’s related to the Blue Star Mothers’ Service flag, which signifies a blue star if a son or daughter in active military service and a gold star if they have lost a son or daughter. The U.S. Militaria Forum says red stars represent “missing or captured” soldiers. Some kind of tradition by the builders of the home? A safety measure for children, that signified a safe house for them to go? Perhaps something to do with the Red Star of David? And I would be remiss to not mention the red star’s connection to communism. My inclination thus far is that it’s indeed something to do with missing or captured soldiers. But I want to verify that and ultimately find out how it got there and, if that’s true, who it’s for. I turn to you, further, dear readers, to help us unravel this mystery. Where can I find this group ? Facebook ? The solemn oath of the Red Eastern Star, wife of a master Mason. Just google Masonic red star and you’ve got it. The Masonic order in Bremerton was and is very active. Great follow up Josh. I’m leaning towards the “Fells Point” story. Bremerton has a rich history as a rough and tumble Navy town rife with drinking, gambling, even opium dens and of course prostitution.